Designed specifically for women, this waterproof backpack is idea for multi-day treks where you need to carry large loads comfortably. The customizable suspension dials in your fits while the HardWave back panel conforms to the curve of your back as it distributes weight evenly. Rainroom tested for 24 hours, the OutDry™ construction of the main compartment is guaranteed waterproof. • Rainroom tested for 24 hours, the OutDry™ construction of the main compartment is guaranteed waterproof. • Removable, zippered top compartment holds internal security pocket and key clip. • Easy-to-reach side pockets for stashing a water bottle and other gear. • Women's specific design with fitting shoulder straps, back panel and details. • Seam taped reversible top pocket can be removed and clip into front shoulder straps to carry wallaby pouch style. OutDry : Traditional "waterproof" gloves quickly get heavy as water loads between the shell fabric and the waterproof liner. OutDry is different. OutDry is a patented construction technology that bonds a waterproof-breathable membrane directly to the shell fabric. There's no gap to load with water so gloves stay, light and dry. And with no extra layer of water, gloves breathe better and stay flexible. OutDry technology for packs uniformly laminates a custom shaped waterproof membrane to the inner surface of the pack, sealing fabrics and seams in a single step. 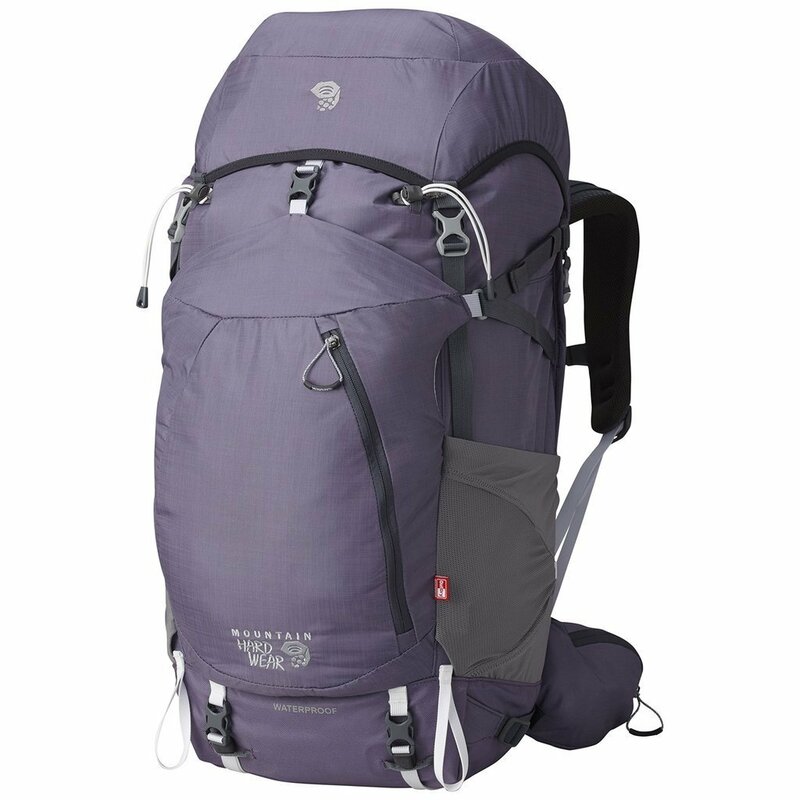 Your pack stays light and dry without compromising weight or function.